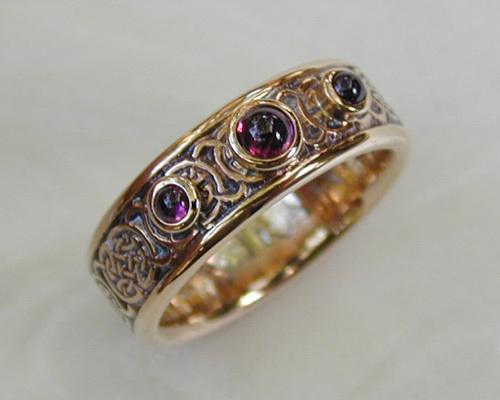 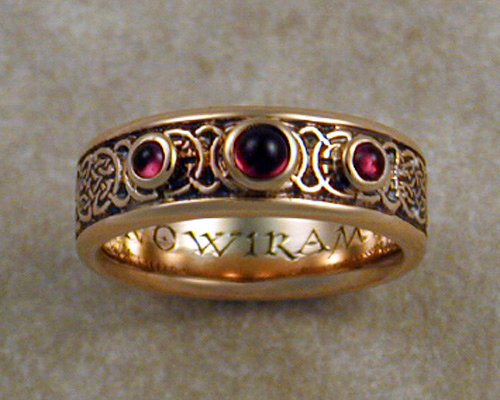 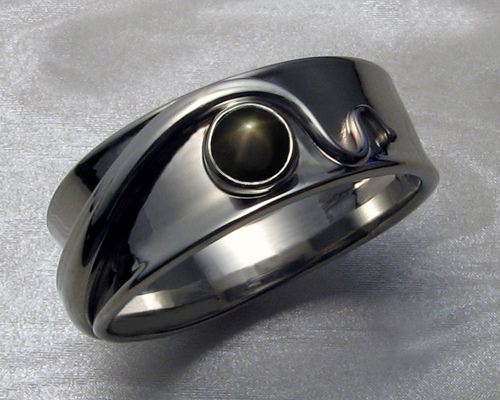 8th to 9th century style, Celtic wedding band with bezel set cabochon garnet stones. 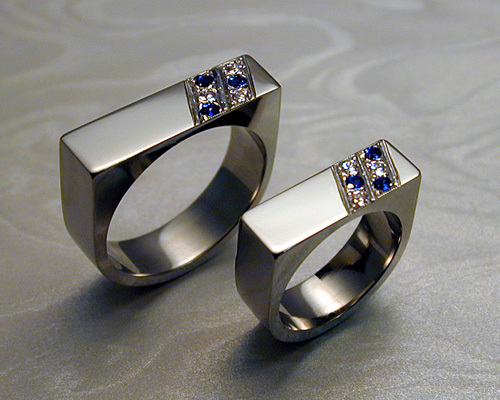 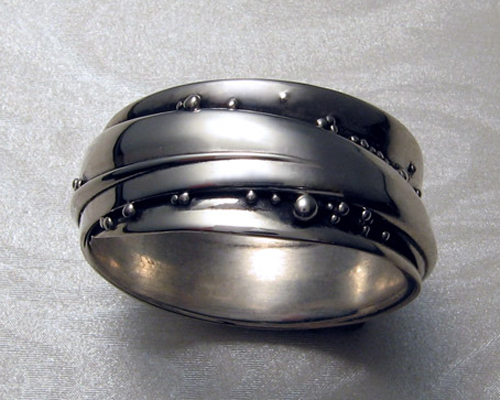 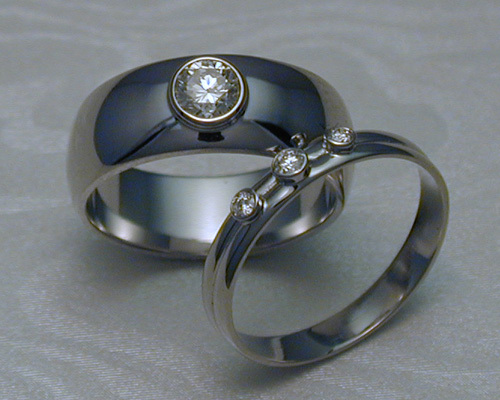 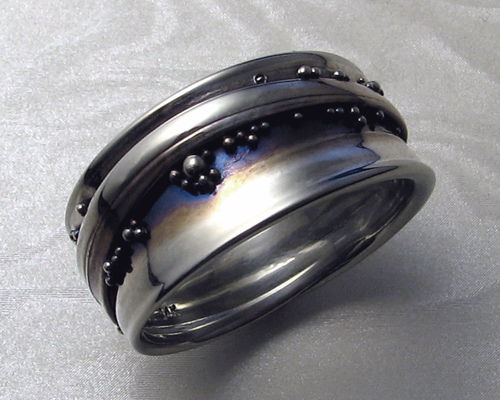 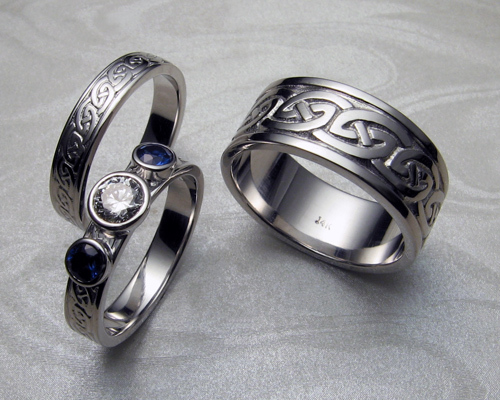 The round cabochon stones provide an ancient look. 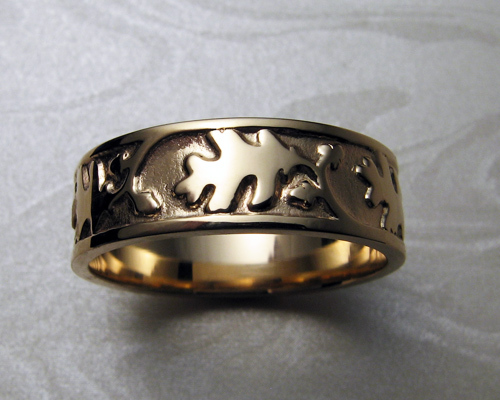 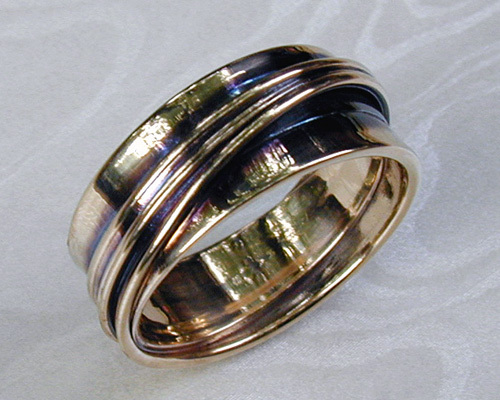 14k yellow gold, 5.5 mm wide band, with patina. 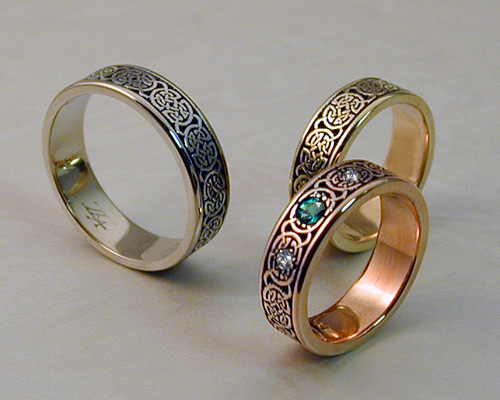 Celtic typeface, hand-engraved inside. 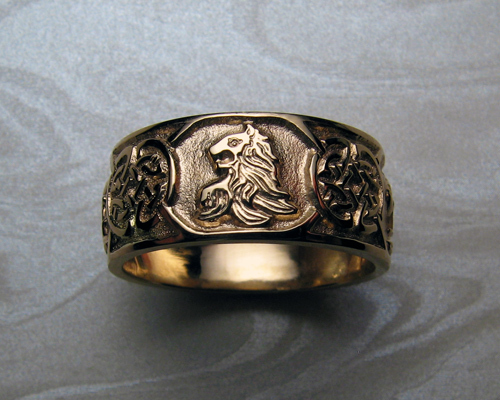 There is an additional fee for the optional inside hand-engraving. 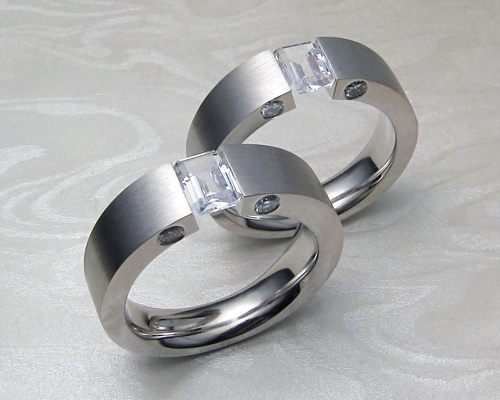 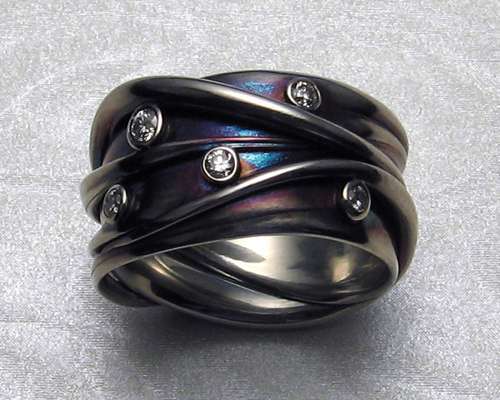 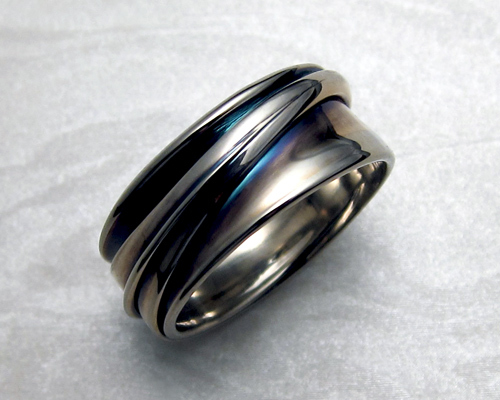 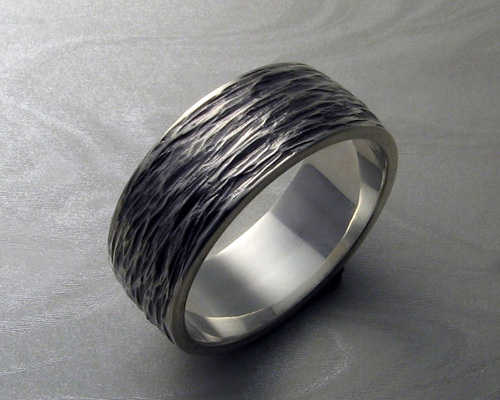 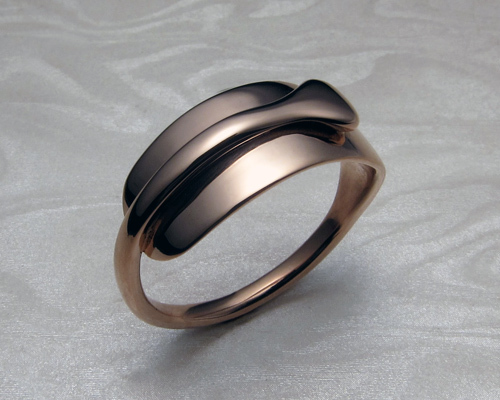 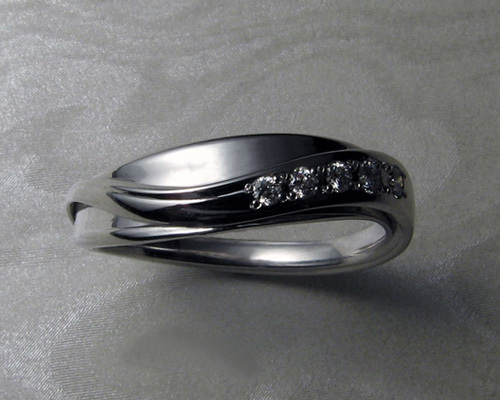 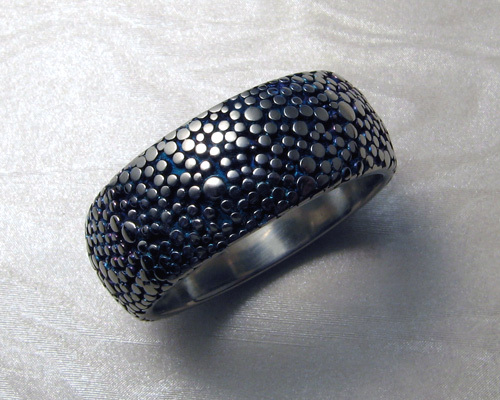 This band is also available in 6.5 mm, 8 mm and 10 mm wide. 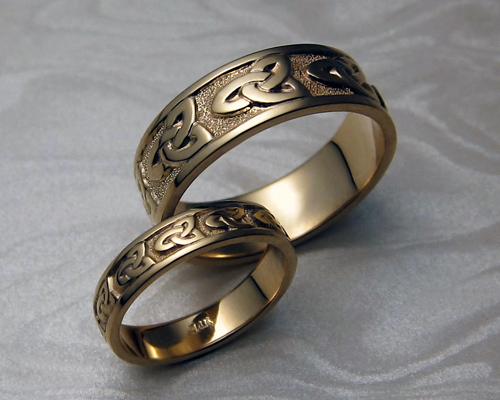 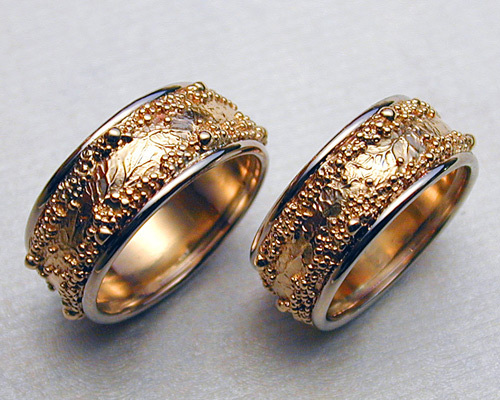 Various karats and colors of gold are also available, as well as other stone options.